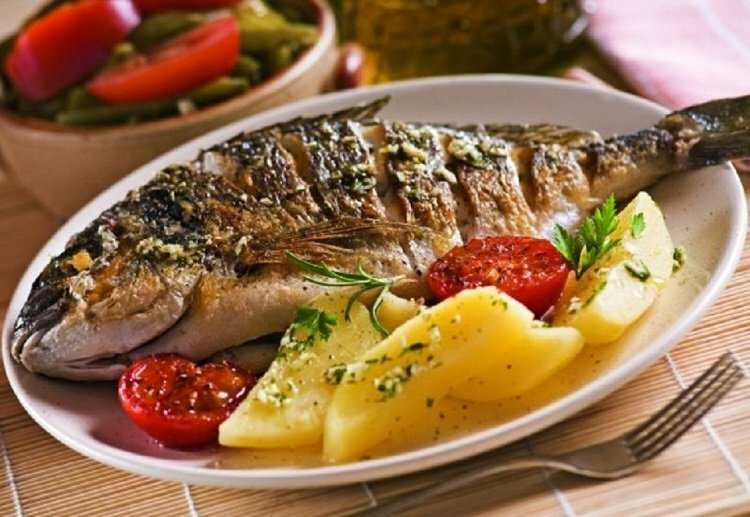 There are several things typical of Nutrients of sea bream, Mediterranean cuisine – olive oil, lots of vegetables, and of course, the marine products. They’re going all sorts of shellfish and fish species in the dish are hard countable. Perhaps the most popular of the typical Mediterranean fish is sea bream. It is found in the Black Sea, but really negligible quantities. Otherwise inhabits the coasts of the entire Mediterranean region by moving into adjacent areas of the Atlantic. Most often inhabits overgrown with seaweed sandy bottoms up to about 30 meters depth by meeting individually or in small scattered groups. It feeds on small invertebrates. The body of this fish is oval, high and laterally flattened. It reaches 70 cm in length and 16 kg weight, but such instances are rare. The eyes are small head has a very characteristic shape in profile belly is almost equal. Its color is silver-gray, but between the eyes of “cheeks” clearly distinguishable adult golden spots that gave rise rather than names into different languages ​​are associated with gold. Even the second part of its Latin name means gold Sparus aurata. The name is Greek sea bream and passed naturally in Bulgarian as the main quantities of this fish on our market come from the Aegean shores. Two decades ago the price of sea bream was quite high due to restrictions and catch and relevant marketing. But in the late 80s of the last century technology to grow into specialized marine farms started to develop, which together with the increase in catches leads to lower prices. Although equipment for growing sea bream have been used in ancient Rome and in more recent times and the Venetians, Italy is not the country that holds the quantity of aquaculture fish. In recent years Greece with its many islands and clear sea was the most appropriate place for aquaculture in the Mediterranean. Regardless of the different scientific assertions difference between farmed and wild sea bream hard to spot, but the taste is impossible to excel. The flesh of sea bream is white, juicy and firm and can be cooked in various ways. Poached retains the freshness of freshly caught fish, but combined with olive oil is an indispensable classic. Interesting and very successful way to prepare baked in a crust of salt. As fish odor at sea bream is not too strong, the use of different spices is very appropriate. Besides the traditional lemon and pepper things like rosemary, bay leaf or increasingly popular sweet pink pepper combined with sour sumac (Middle Eastern seasoning for meat) can give fish a completely different taste-olfactory character. 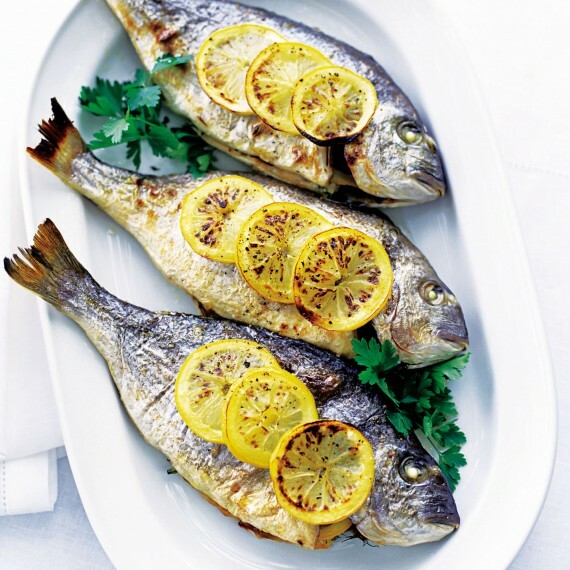 Greeks baked sea bream grilled greased with olive oil, lemon juice, oregano or thyme, while Spaniards prefer it with slices of garlic and chili. In Portugal patriotic fish served with a sauce of port wine. Regardless of the method of preparation bream always a good choice, and while you are eating, your thoughts imperceptibly fly sea ands three continents.